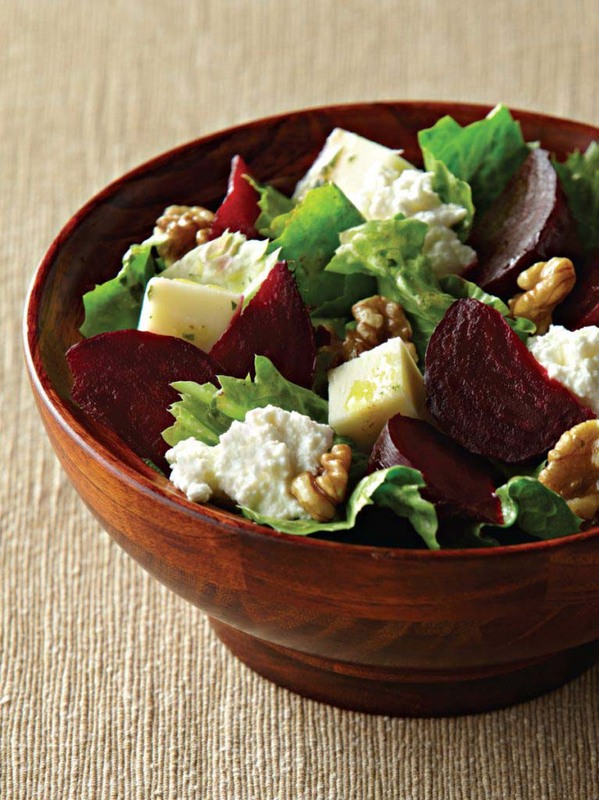 In a large mixing bowl, toss mozzarella, beets, walnuts and escarole with sherry wine vinaigrette. Distribute salad onto 4 or 6 salad plates. 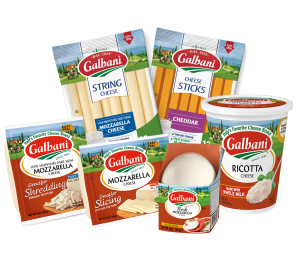 Top each salad with a generous tablespoon of ricotta. *Roasted Red Beets: Preheat oven to 400° f. Wash beets, individually wrap them in foil, and roast for 60-90 minutes, depending on size. Once cool enough to handle, peel skin using a paring knife or your fingers. If you prefer, golden beets can also be used. Fresh fruit, such as strawberries or figs, is also a nice addition.